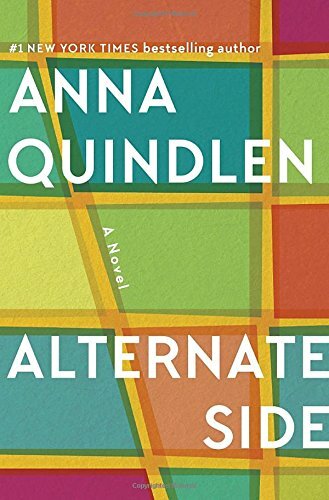 I have only read one other book by Anna Quindlen, Every Last One, which was very well written, but also horrific. So, I don’t know why I signed up to read another. I suppose I was drawn into the synopsis which also mentioned a horrific event and its aftermath and was curious to see what could top the horror of Every Last One. Depending on how you read it, Alternate Side was not nearly as horrific (no murderous rampage) but also quite sad. However, it was sad to me because of my own beliefs. While the event that divides the book is sad and does divide the neighborhood and marriages on the block, I was sadder about these characters as a whole. For instance, the whole big incident occurs because a handyman blocks the wealthy homeowner’s parking lot and is beaten severely as a result. The wealthy live so differently, they can’t even imagine the alternate side. For instance, the main character spends quite a bit of time worrying her housekeeper will leave now that the kids are gone. Seriously? Her troubles are not troubles at all. Yet, she is also portrayed as the person with a moral compass who points out right & wrong and leaves her job for ethical reasons. But, all the characters combined just felt petty and icky and boring and sad. 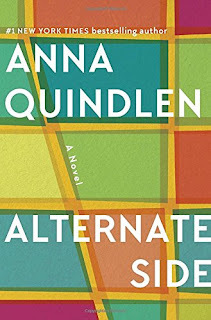 Ultimately, what upset me about the book is the way the marriage of the main character ends – without a fight, without a hope, without anything. The kids left home and they just realized that was it. And, I get it. I know that happens. But, it sure is sad to read about – especially when the characters seem to care less about even trying to fight for their marriage. And, hear me out, if it had sounded like a bad marriage the whole time, I wouldn’t have any qualms. But, the author did not give us that insight. Instead, she compared marriages as balloons that just lose their air over time. Isn’t that depressing? The author does have a beautiful way with words – I just wish she used them to tell better stories.